Invisible Sentinel Inc., a global molecular solutions company that provides detection tools to advance quality processes, announced the final validation phase of its Veriflow brewPAL. You may remember the initial news of this product being developed in conjunction with Victory Brewing Co. Veriflow brewPAL is the first product that provides same-day detection for the presence of Pediococcus and Lactobacillus species throughout the brewing process. This novel technology provides onsite detection and quantification of these microbes and reduces time-to-results from several days to less than three hours. 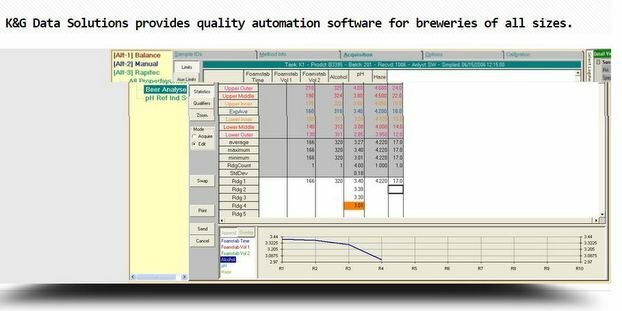 Timely detection using Veriflow brewPAL can prevent spoilage, preserve integrity and transform brewing quality control processes from reactive to preventive. “We think this product will change the entire landscape, impacting the way brewers make informed decisions about their most coveted asset – the beer,” said Adam Bartles, Victory’s director of operations, following on-site validation at Victory’s state-of-the-art Parkesburg facility. Invisible Sentinel and Victory also announced the addition of four new partnerships to complete the validation phase: Yards Brewing Co. (Philadelphia), Weyerbacher Brewing Co. (Easton, Pa.), Russian River Brewing Co. (Santa Rosa, Calif.), and Kettlehouse Brewing Co. (Missoula, Mont.). This diverse group is interested in next generation technology solutions to support business growth and protect the quality of their brand. “We are thrilled to be working with these esteemed craft breweries. Their collective insight regarding the implementation of Veriflow brewPAL at their respective facilities will verify the utility and value of our technology,” said Nick Siciliano, Invisible Sentinel’s CEO. Veriflow brewPAL is ultra-sensitive and user-friendly, allowing brewers to cost effectively protect the quality of their products. “The test protocol was even easier than we imagined and, as we grow, this is going to be a crucial part of maintaining the integrity of our brews,” said Zach Miller, Victory’s quality lab manager. “The feedback from Victory has been overwhelmingly positive, and we look forward to successful implementation at our new partners’ breweries. We anticipate a global commercial launch of Veriflow brewPAL in early spring,” Siciliano added. Veriflow is a patented, molecular flow-based technology that integrates molecular diagnostics, antibody design, and immunoassays. Veriflow technology is currently applied across multiple industries including food safety and beverage quality. The company is exploring solutions in other industries, such as healthcare, veterinary services, biodefense and environmental testing. Shade Tree Beer Brewers liked this on Facebook.